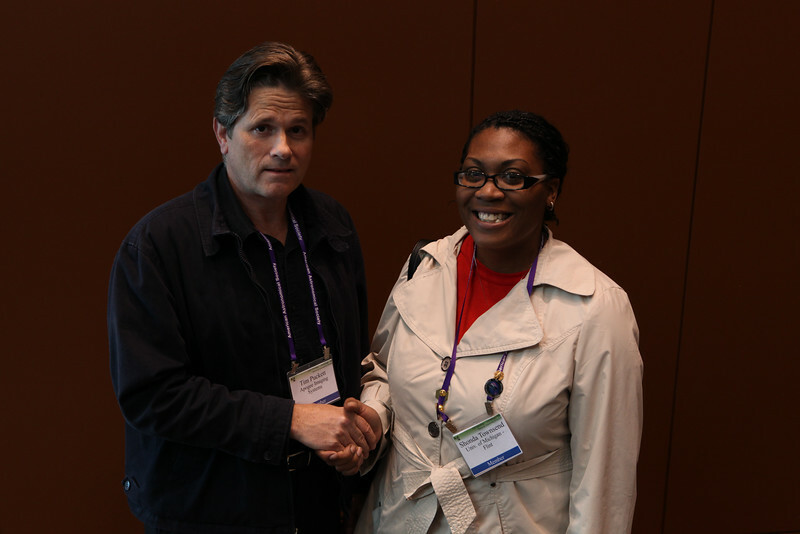 Winner of the door prize at the closing reception — a CCD camera from Apogee Imaging Systems —was Shonda Townsend (Univ. of Michigan, Flint), here being congratulated by Apogee’s Tim Puckett. AAS photo © 2012 Joson Images.